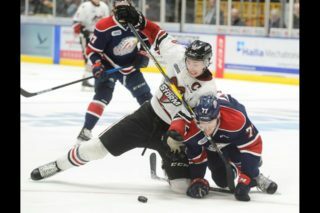 Guelph Storm defenceman Kyle Rhodes apparently avoided being demoted to junior B Sunday afternoon. 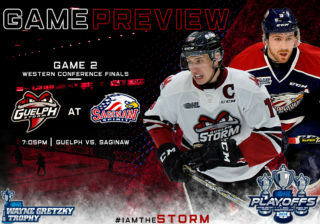 After 105 career OHL games without a goal, Rhodes said he was jokingly warned by teammate Michael Giugovaz that if he didn’t score against Flint on Sunday afternoon he was being sent down. The affable Virginian answered the call. 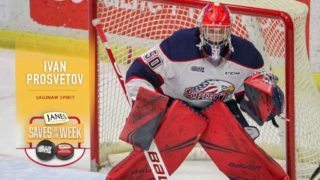 The first goal of his Ontario Hockey League career in the first period proved to be the game winner as the Storm downed the Flint Firebirds 4-1 at the Sleeman Centre. Saturday night in London the Storm lost 7-3. “Giggy told me I had 60 minutes tonight to score a goal or I was going to junior B,” Rhodes said with a laugh after the game. “It was definitely good to get the monkey off the back,” said Rhodes, who almost had another when he rang one off the post in the second period. Rhodes made his first goal a sweet one, racing down the right side before drawing the puck in and using the defenceman as a screen before rifling a wrist shot into the top shelf. At the time it made the score 2-0. “It’s tough when you go a year and a half without scoring, but just getting the one makes it a whole lot better,” Rhodes said. 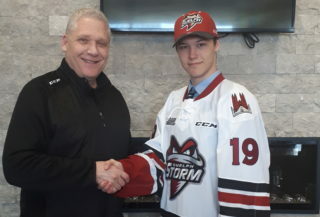 Another first on Sunday saw Storm prospect Quinn Hanna played in his first OHL game. 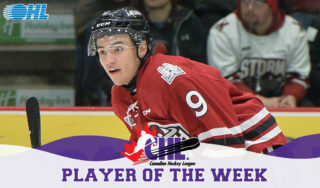 Hanna, a defenceman who has spent the year with the junior B Guelph Hurricanes, played right wing Sunday, played a lot and even got into his first fight, a first-period tussle with Flint’s Stephan Seeger. His scrap was one of three in the game. 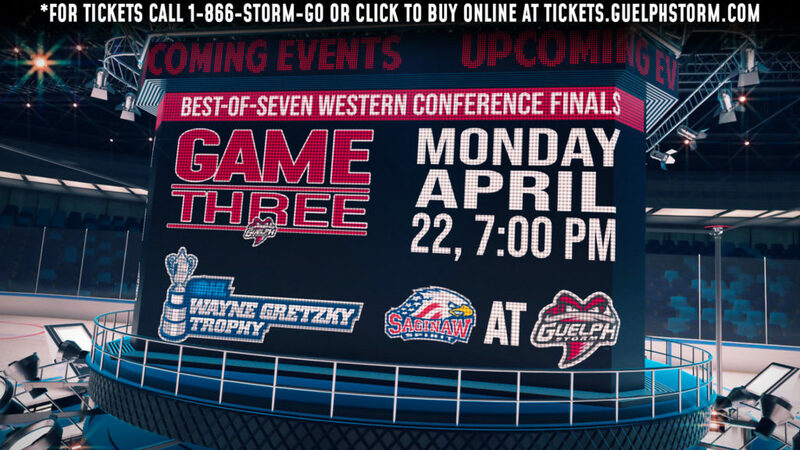 Hanna was one of two defencemen used at forward by Guelph, who have a rash of injuries up front. Recently-acquired Christian Mieritz also played up front on a line with Hanna and junior C call-up Liam Buckley.